Inclined flighted parts conveyor and infeed hopper. 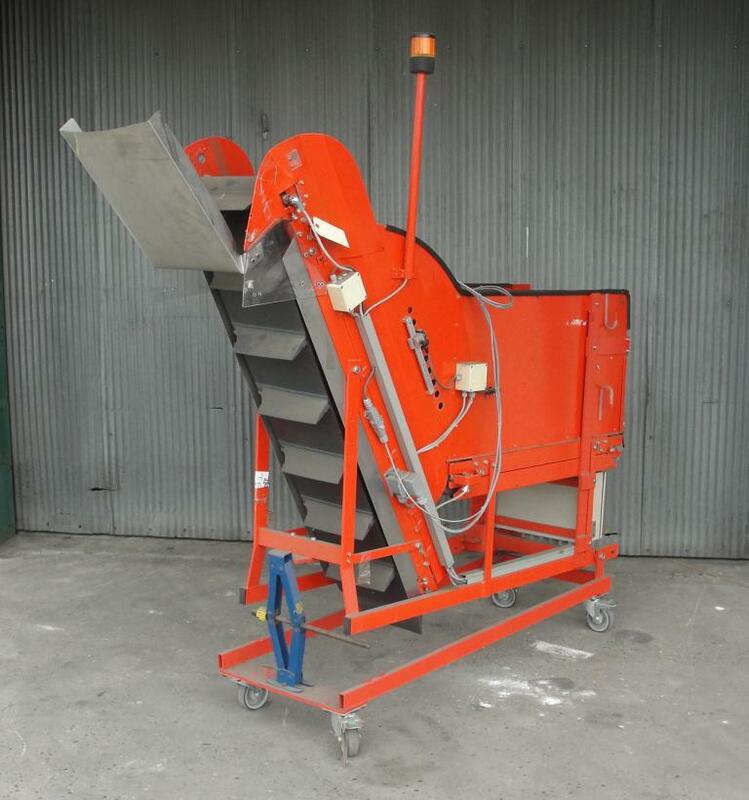 Unit has 12" wide x 60" long belt conveyor with 3" flights. The 40" long x 16" wide x 13" high hopper has a 12" feed belt. Both belts are driven by 24 vdc servor motors. The discharge height is adjustable via screw jack from 50" to 55". The infeed height is 40". Unit is on casters for mobility. 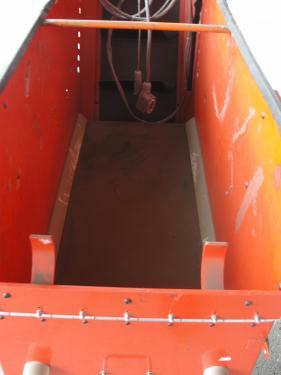 Conveyor is also equipped with remote control cables and connects to work in tandom with other equipment. Unit is designed for 380 vac 3 ph 50 hz electrical supply. Good condition.